Ghost Rider par Noelevz. 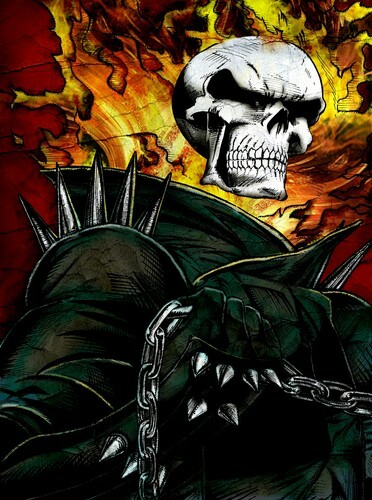 Colored version of my own inked rendition of Ghost Rider from Marvel.. HD Wallpaper and background images in the Ghost Rider club tagged: ghost rider ghost rider awesome drawing comics illustration. This Ghost Rider fan art contains anime, bande dessinée, manga, and dessin animé.